Try our products at DesignerBabyGolfGifts.com and personally experience the benefits for 30 days. 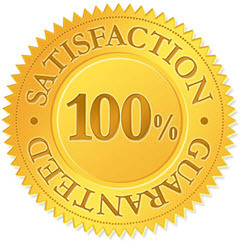 We are so sure you will be satisfied with your purchases that we offer you a no risk money back guarantee. If within 30 days you wish to return your shipment in its original packaging, we will give you a 100% refund. We strive for complete customer satisfaction with our service.